Bittersweet Enchantment: What The Spell? by Brittany Geragotelis | Official Book Trailer Reveal + Guest Post! What The Spell? by Brittany Geragotelis | Official Book Trailer Reveal + Guest Post! 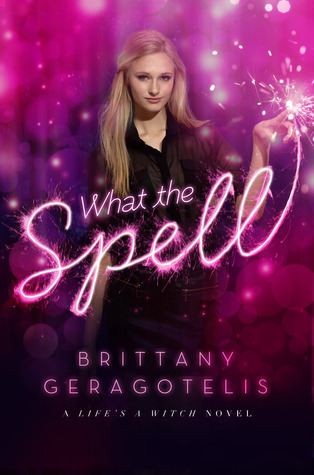 Today I will be sharing with my readers a very special post to help author Brittany Geragotelis with the reveal of the official book trailer for her debut novel What The Spell? Also Brittany has done a guest post on what her TOP TEN Favorite Magical Beings. I hope everyone will enjoy this post! Looking for my review of WHAT THE SPELL? A teenage witch juggles popularity and romance while keeping her powers a secret in this spellbinding debut.Almost-sixteen-year-old Brooklyn feels invisible, but she desperately wants to be pretty, to be popular, to be adored by a cute guy. Luckily for her, she’s a witch about to come of age—so she’s only a few spells away from making it all happen. Brittany Geragotelis, a former Olympic-bound gymnast and magazine editor, is a self-professed pop-culture-junkie-turned-author. Her paranormal YA thriller Life’s a Witch received 18 million reads on the writing site Wattpad.com. What the Spell is the first published book in the series. Brittany lives in New York City with her beau and two cats, Murray and Cohen. Visit her at BrittanyGeragotelis.com. STAY TUNED FOR THE NEXT BOOK IN THE "LIFES A WITCH" SERIES. This one looks like a cute and fun read! For some reason I couldn't open the trailer on my phone, I'll have to check it out later.